Sadly the world has lost a Pop Icon today at around 6pm EST. Michael Jackson has died of a heart attack after being at his Holmby Hills home. Paramedics were not able to revive him. While some reports are also telling us that he is in a coma, one thing has quickly grown apparent with this news. Social media has made its statement. If you are a person that spends time online then you more than likely found out about this news through social media. If you are like me, as soon as you found out you posted it on your Twitter or Facebook account. After I made my own post I looked and noticed it was posted by friends many times over. Some just mere minutes after the news broke. In the past, this type of news would have taken hours to get out to the general populace. Now every single person online today has the ability that only news reporters and media had earlier. Its a phenomena. No Wait For Information Anymore! The first to break this story: (and perhaps also the reason why there is so much doubt up to this point) was TMZ. Just 30 minutes after the news broke guess what the number one search being conducted on Twitter is RIP Michael Jackson. Twitter is quick! Check it out yourself by doing a real time search! We have already 'tweeted' this story along with the millions of others! Have a look at your Facebook newsfeed right now. Notice how many people have made this their status update? In my own account, 12 out of 15 updates were about Michael Jackson’s death. Never before have we all had an open forum to discuss events and items on our mind as we do now thanks to social marketing sites like this. YouTube is slow to the punch. There are no videos online as of yet. But this will change and video will be at our demand once YouTube let's this story go officially. Less than an hour after his highly speculated death, Wikipedia already has a disclaimer on their site stating the Michael Jackson wiki page is about someone who recently died and that some information may not be accurate. They have also put a ban on any editing of the page. Who needs to wait for information anymore? I am personally saddened that we have lost a pop music icon. This is probably the biggest death our world has had since Elvis Presley died. 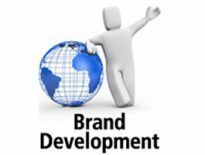 Being an internet marketing enthusiast though it is incredible to see the power of social media in the world today. And to think it is only in its infancy. There is so much still to come and so many sites yet to be built. This is exciting. One other thing is for sure – we will be seeing many television shows devoted to the life of Michael Jackson and the funeral will surely be the largest since Princess Diana passed away. The big difference between this news items and the other deaths listed here is that there will be a much larger reservoir of knowledge to be spread to us all and many more voices speaking about it. Back when Diana and Elvis died we still had just the traditional media outlets to depend upon. I have already received more then 10 text messages from friends that are anxious just to spread the news. Michael Jackson’s death is a very sad thing. But an event like this has clearly shown the power of social media and the evident rise we will all watch over the years to come. 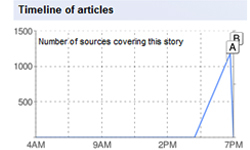 Remember that Google News count of 900 articles found by Google that I wrote about halfway through this article? Well in the 10 minutes since writing that, Michael Jackson's death is now fully confirmed and there are now more than 1600 articles acknowledged by Google News. If you have your own comments about this event in a social media context we invite you to share them below! Let the conspiracy theories begin – x1000 – thanks to social media and the widespread availability of information. Michael Jackson’s death was a massive surprise for me, although looking back at his life it was possibly not so unexpected. The criminal charges pressed upon him sparked the beginning of his spiralled decline in his health. Once he began to rely on medicines to merely get by, that was when there definitely was no way back, in my opinion. The key turning point in social media being the most important dissemination of the news was a couple years ago when “journalists” quoting bloggers occurred more than bloggers quoting journalists. A few pundits starting declaring the slow death of newspapers and journalism in general. Twitter has accelerated the process. Now everyone’s a reporter (wonder what need are wire services). The new news cycle: first come the tweets then the bloggers comment, then the traditional media summarizes and editorializes, then Stewart and Colbert make fun of it. 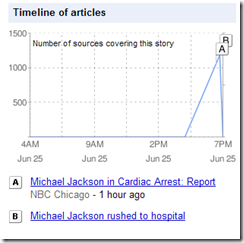 The enormous interest in Michael Jackson’s death results in a massive surge in traffic in all major search engines. It was a shock to hear about his untimely death, even many could not believe, and for getting more info all leaned to online media. Leading social media sites have registered record number of activities during these times. This rush of activity on the social media highlights its increasing importance in disseminating news to the general public. With Michael Jackson, it’s too bad his last few years ended the way they did. I like to focus on the good things he contributed like his humanitarian efforts. Not many know that he was responsible for the song ‘We Are The World’ USA for Africa. With having the potential to spread good words through Social Media, we all have the power to do our part and say positive things about people, and to say to hell with the media. Their only profit comes at others’ expense. Social Media, is the power of the people spreading news in unprecedented ways now. Sadly, Microsoft’s new Bing search engine had the news result at the very bottom of their listings page, however, it seems they have moved it to the top today. It is definitely an interesting world we now live in when the 2 sources that main stream media used to confirm that Michael Jackson had in fact passed away was TMZ,(an internet news site) and Chris Cornell’s Twitter post. This was mentioned numerous times on the Edge, a local radio station in Toronto. The only news source that didn’t follow this trend seemed to be CNN. Wow…what a GREAT article. I spent the night with some family and friends…I find it interesting that this week Farrah Fawcett and Ed Mcmahon both died, however MJ’s death has become such an event and overpowered the internet. 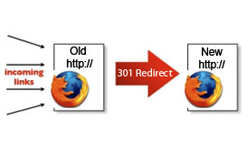 I have seen websites crash and people frantically search the internet to find out what happened. Can you believe that ten years ago people would have waited for hours and hours just to figure this out. WOW! Of course every online writer is susceptible to the latest crazes sweeping the scene. Here ‘informational’ type searches dominates and people want to read each and every news item about Jackson and his world. Taking mileage out of information demanding situations social marketers and web writers to stuff their sites with most searched news of death or birth or whatever else. In celebrating sensationalism online media marches ahead print media and visual media. The growth of social media is tremendous. I remember before 2 or 3 years we would get to know latest news only through Television, radio or newspaper. Now the time has changed and we get alerts through mail or SMS because of the growth of social media. The advantages of getting information from social media is tremendous. 2. We can get news or event updates of any category of interest through feeds, bookmarked sites, mail, websites or through SMS. 3. Can unsubscribe or remove alert anytime. 4.Can get more details – In case of Micheal Jackson’s death we can get full information regarding him like his family, school days, his greatest albums, his interest towards charity etc..etc…Through Television or newspsper we’ll just get information on what they put but in social network media there is no limit, yes it’s like an ocean !